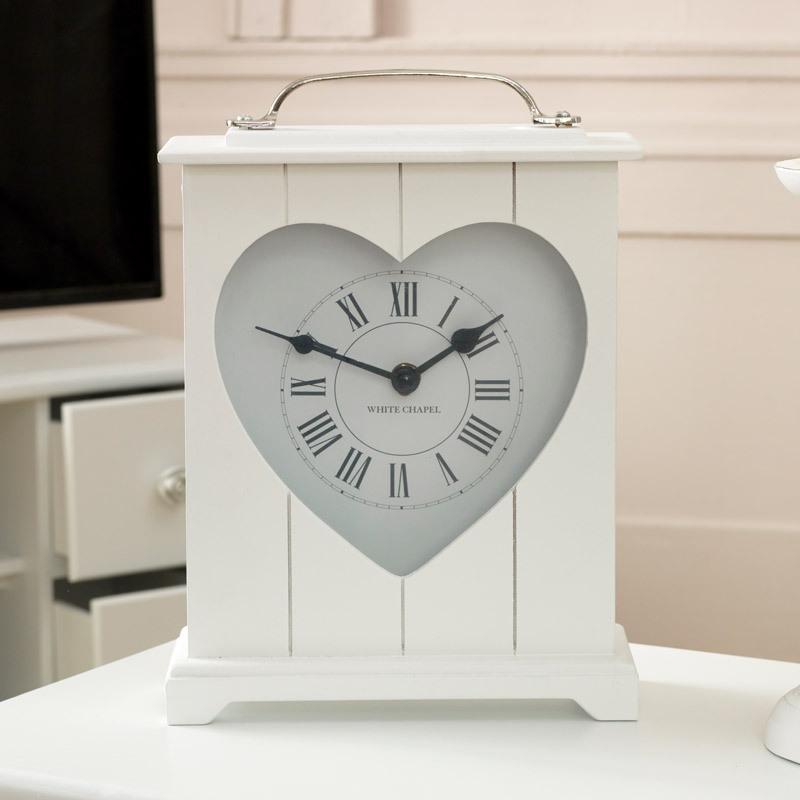 Beautiful white mantel clock with heart details. Vintage design for a traditional country cottage style home decor. Traditional look that will look stunning in any setting. Display proudly on a mantelpiece, desk or table. The clock face is framed by the cutour heart for a look of romance and love. Great gift idea for friends and family. 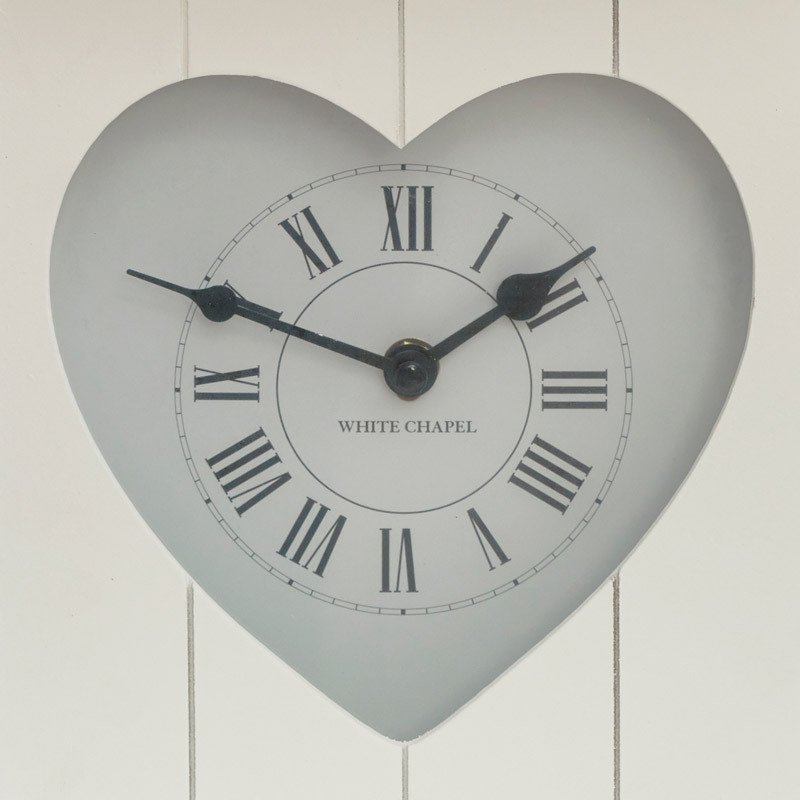 Beautiful white mantel clock with heart details. Vintage design for a traditional country cottage style home decor. Traditional look that will look stunning in any setting. Display proudly on a mantelpiece, desk or table. The clock face is framed by the cutour heart for a look of romance and love. Constructed with wood panelled frame in a white painted finish. Takes x1 AA battery (not included).